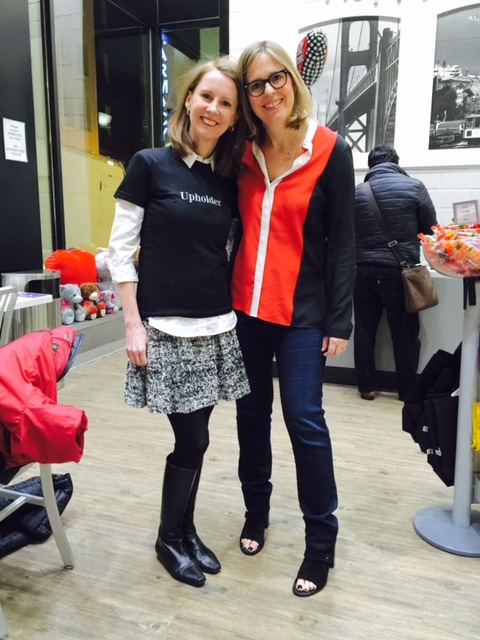 Elizabeth and I roamed the halls at a podcast conference. 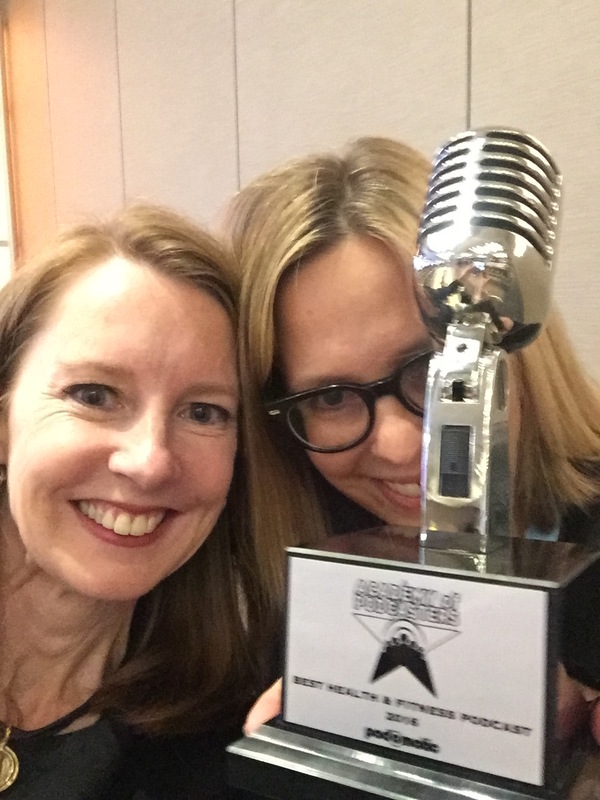 Elizabeth and I after we won the "Best Health & Fitness Podcast 2016" award. 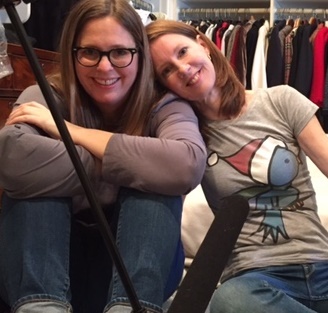 Elizabeth & I recorded an episode in our mother's closet in Kansas City. 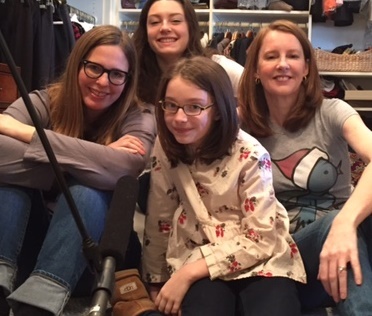 My daughters Eliza & Eleanor were guests on a Very Special Episode. 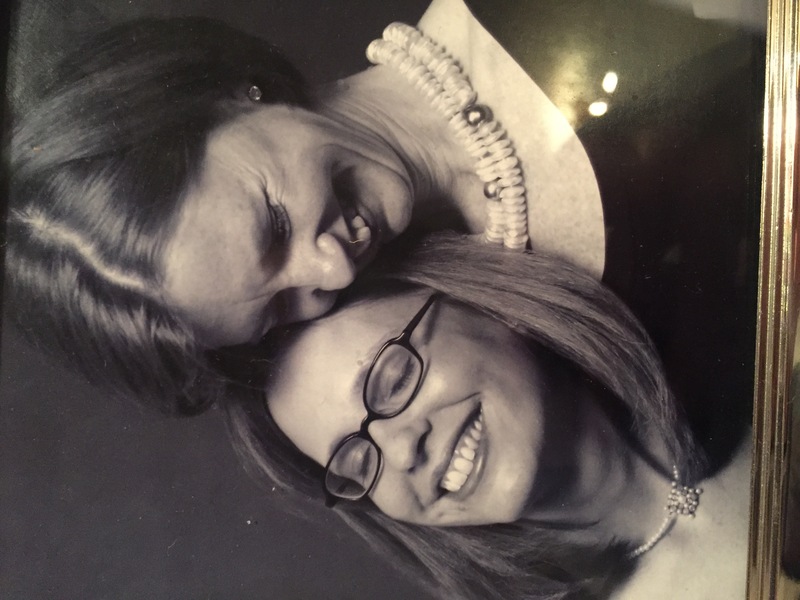 When her pilot was shooting in NYC, Elizabeth was able to join me in the studio. 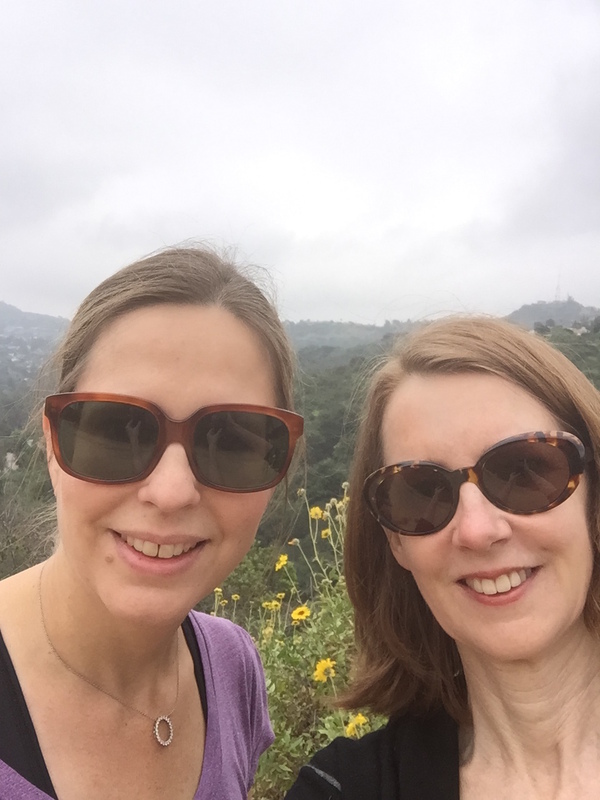 When I visited LA, Elizabeth & I hiked in Fryman Canyon Park. 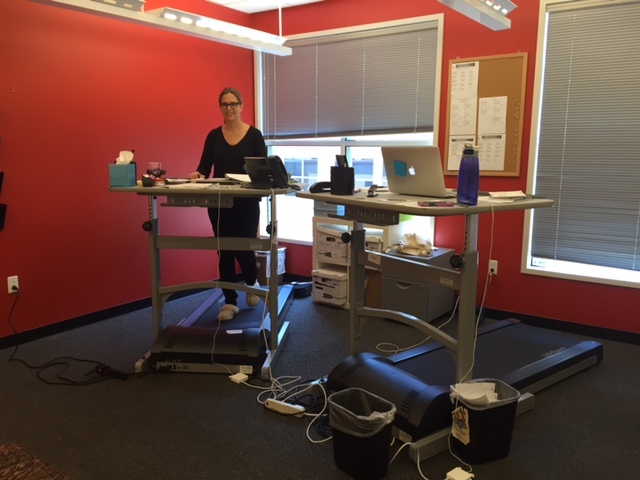 Elizabeth on her treadmill desk! The best gift I've ever given anyone. 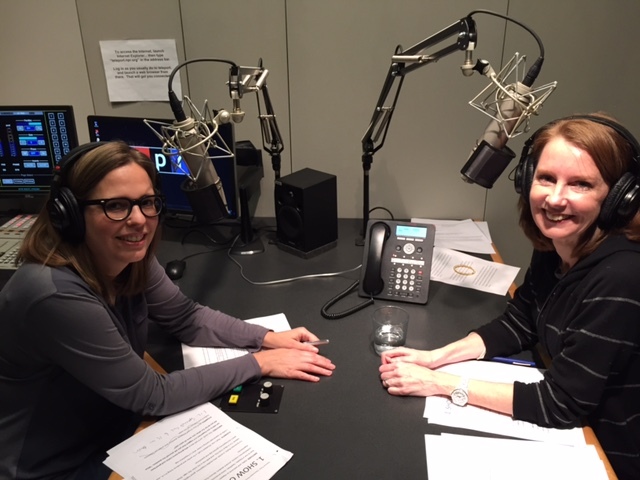 With our producer Kristen Meinzer before our live show in Seattle. 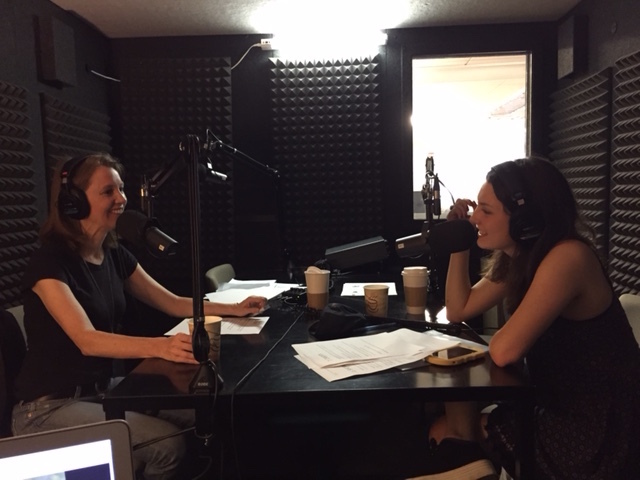 Being our guest on "Happier" inspired my daughter Eliza to launch her "Eliza Starting at 16" podcast. 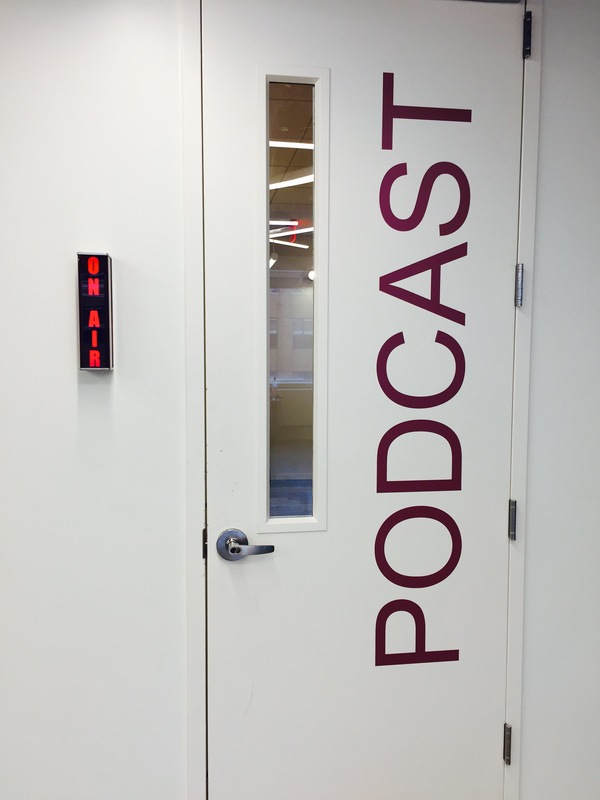 Here's where I go to record, at the Panoply studios in Brooklyn. 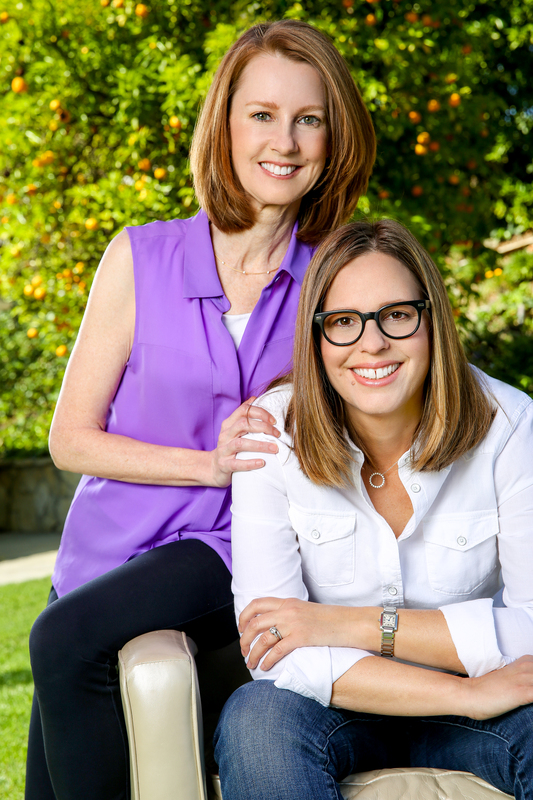 With Elizabeth, in her backyard in Encino. 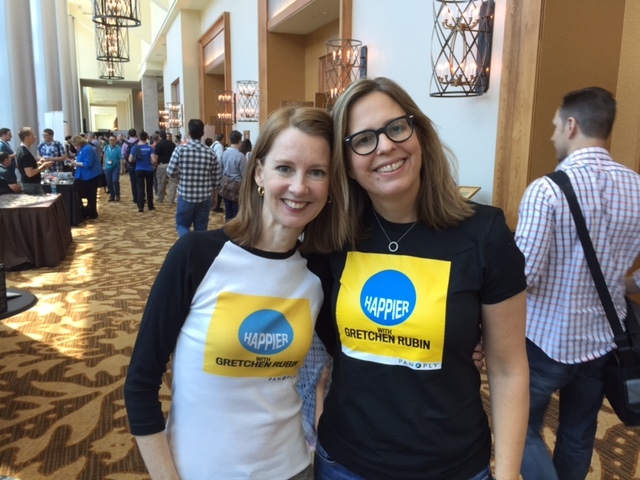 Elizabeth and I, ready to talk about happiness, habits, human nature & the Four Tendencies. 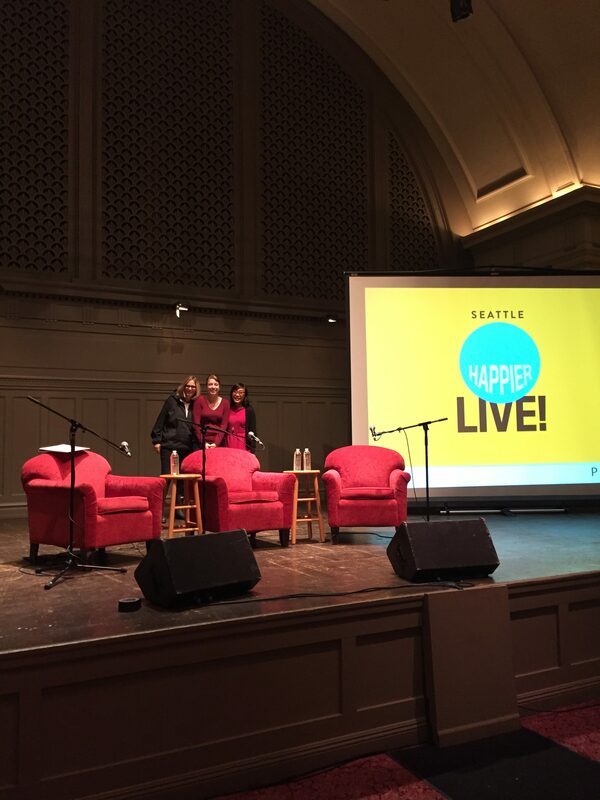 Elizabeth & I both love live events--here, in Seattle. After our San Francisco event. 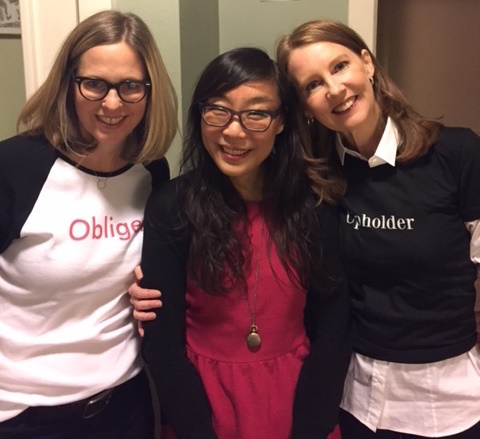 Note my "Upholder" t-shirt, a gift from Elizabeth. 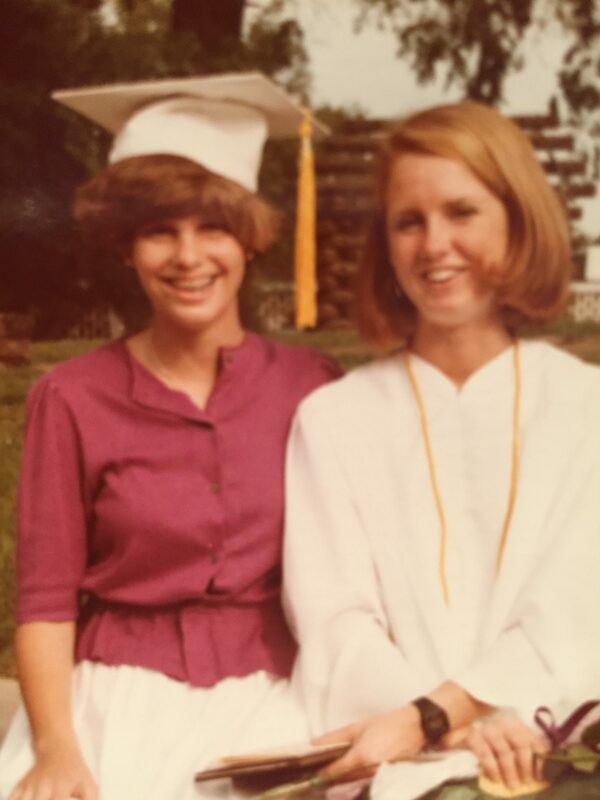 Flashback to my high school graduation. 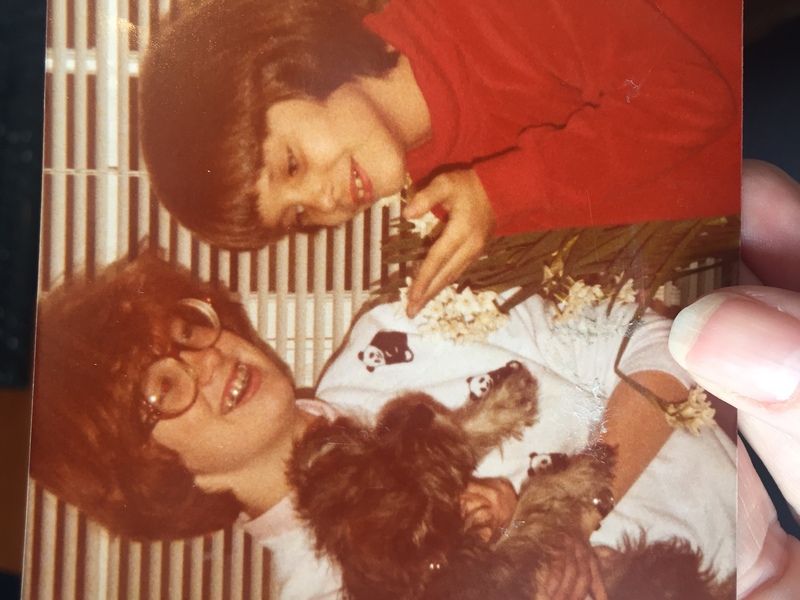 Elizabeth and I admiring our new puppy, Paddywhack. Elizabeth is 8; I'm 13. Elizabeth & I gave a toast together at a surprise party for my father's birthday.